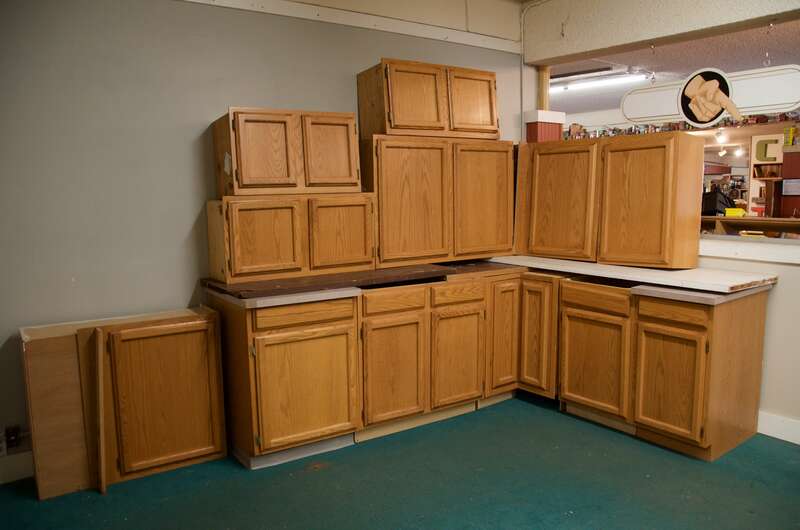 What would you do if you heard that an entire apartment complex worth of overstock cabinet sets needed a home? If you’re from Bellingham, you find a place for them instead of allowing them to go to the landfill. Last month, our friends at Dawson Construction called us with a conundrum. 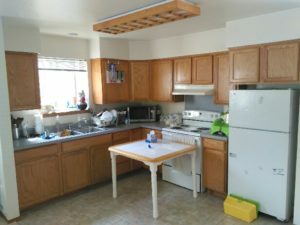 They were working in an apartment complex and would be removing 50+ sets of DeWils cabinets. While some had light surface damage, most were in like-new condition. The caveat to the cabinet conundrum (we’ll stop alliterating now; we promise) is that they needed a place to go ASAP. We’ll be receiving new sets every day through July. If you’re planning to renovate or remodel, give us a call and we’ll put a set on hold for you. Cabinets will be sold as sets, individual pieces will not be sold separately. All lengths are based off the cabinet’s front facade.